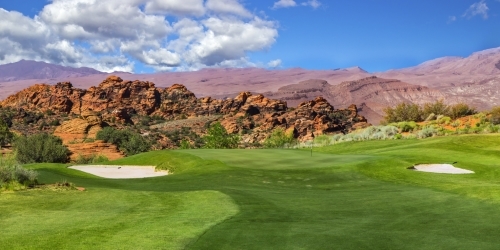 Come enjoy our year-round golfing weather and one of a kind views! Our vacation rentals surround the golf course and can accommodate 4-16 people per unit. The Ledges of St George reserves the right to change price and offer at anytime. Prices and offer are subject to change without notice. UtahGolf.com is not responsible for errors posted in this golf package.